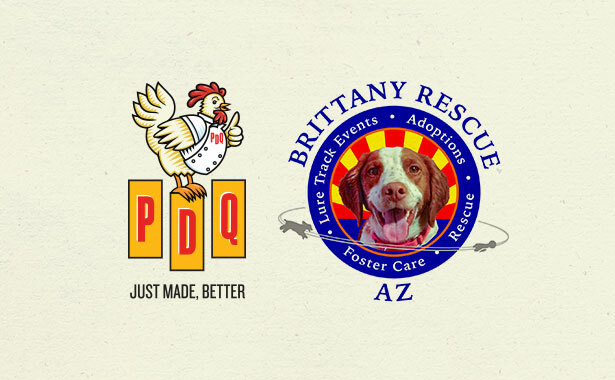 Our PDQ Paradise Valley team is partnering up with Brittany Rescue, a non-profit organization dedicated to rescuing and finding homes for Brittany Spaniels. On Saturday, January 19th, our Paradise Valley team members will be on site at the Furry Friends Festival selling PDQ tenders for a great cause. PDQ will donate 40 percent of each three-piece Tender Meal purchased directly to the Brittany Spaniel Rescue. Stop by St. Louis the King Catholic Church at 4331 W. Maryland Ave. in Glendale from 10am-3pm for a fun filled day of pet adoptions, pet photos, face painting, activities for kids and delicious PDQ tenders.